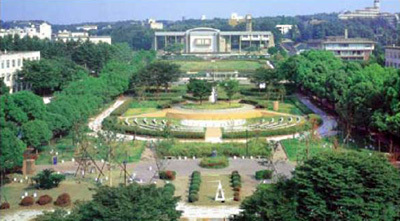 work done in Nagoya U.
degrees awarded by Nagoya U.
Nagoya University is a comprehensive national research-intensive university in the heart of Japan. With approximately 16,000 students, of which 1,500 are international, Nagoya University is currently ranked 82nd (Academic Ranking of World Universities) and 92nd (Times Higher Education) globally. The critically acclaimed faculty of Nagoya University have won international awards including the Fields Medal, the King Faisal International Prize, and four Nobel Prizes. With the goal of opening up its departments to a greater number of international students while helping to cultivate Japanese students who can thrive in an international environment, Nagoya University is currently expanding the number of programs that will be taught entirely in English. All Rights Reserved, Copyright© 2012-, Department of Applied Physics, Nagoya University.